– Maybe God is not happy. Looks like Pharaoh’s time. Otherwise How can there be a drought and flooding at the same time? The disaster management unit has finally said that there will be a serious drought followed by hunger this year. Meanwhile, PF government officials are busy exporting mealie mill to Congo. The disaster management unit, one of the many conduits of corruption by PF, says in addition to the drought, there will be outbreaks of cholera, dysentery, typhoid and animal diseases plus army worms. According to the Zambia Meteorological Department (ZMD), the 2018/2019 season rainfall forecast will be largely influenced by weak state of the El Nino southern oscillation (ENSO) which for Zambia implies normal to below normal conditions over most parts of the country. This means that the country is likely to face possible dry spells/drought conditions especially in the agro-ecological zone I and II of Central, Eastern, Lusaka, Southern, Muchinga and Western provinces. There is also a possibility of localized flooding in agro-ecological zone III especially on the west bank of North-Western, Lusaka, Central, Eastern, Luapula, Southern, Muchinga and Northern provinces. The localised floods and dry spells/drought hazards are likely to bring secondary effects which include outbreaks of diseases such as cholera, typhoid and dysentery and animal diseases as well as crop pests such as army worms. Following the issuance of the 2018/19 rainfall forecast, the Disaster Management and Mitigation Unit (DMMU), working with various stakeholders developed the 2018/2019 National Contingency Plan (NCP) for the forth coming rainy season. This is an all-inclusive and multi-hazard contingency plan with wide participation of partners from different sectors, namely; Government, UN system and Non-Governmental Organisations. The NCP is designed to allow for early response to anticipated hazards in order to minimise depletion of household assets, support and protect lives and livelihoods. It is anticipated that forty-two (42) districts will be affected by floods while fifty-two (52) districts will be affected by drought/dry spells. Overall, it is anticipated that the hazards will hit sixty-four (64) hotspot districts in nine (9) provinces. Response, recovery and rehabilitation programming has been designed to run for five (5) months (December, 2018 to April, 2019) taking into consideration impacts on nine (9) key sectors namely Agriculture and Food Security, Human Habitation and Shelter, Water, Sanitation and Hygiene, Health, Nutrition and Reproductive Health, Education, Early Warning and Communication, Infrastructure and Logistics. For agriculture and food security, it is anticipated that forty-two (42) districts will require support in order to soften impacts from floods and/or dry spells. 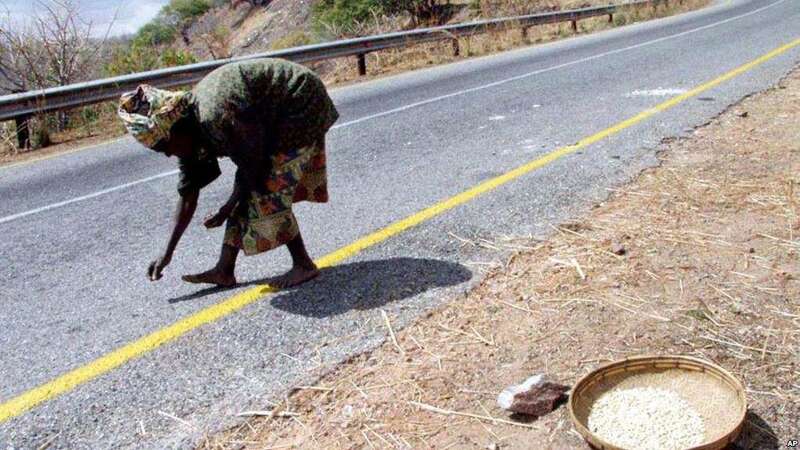 For this to happen, 46,803 households in 35 districts in nine (9) provinces will require 2,810 metric tons of maize for a period of three months from December 2018 to February, 2019. Depending on the intensity of the dry spells/drought, there may be need for replanting of crops and the contingency plan has made provision for the most vulnerable households in selected districts to receive some inputs. There are also surveillance systems put in place for monitoring of animal diseases, pest infestation and crop monitoring. In terms of health, the key diseases that are likely to ravage the sixty-four (64) districts include malaria, diarrhoeal diseases as well as respiratory tract infections. The risk analysis indicates a possible case-load of about 454,963 households being targeted by various interventions under the sector. Key activities in the sector include preventive and curative aspects as well as awareness raising, prepositioning of essential drugs and surveillance. In education, about sixty (60) schools are anticipated to suffer damage from strong winds and flooding in the country and funds to ensure that timely repairs are done have been allotted. Further, owing to anticipated prolonged dry spells, the level of absenteeism is expected to increase and so in order to keep learners in school, school feeding programme will be strengthened. Infrastructure in terms of wash-aways and inundation from flood waters is expected in many parts of the country and rehabilitation and reconstruction activities have been included in the contingency plan to ensure that lives are not disturbed. The national contingency plan also provides for support activities from logistics and early warning and communication for issuance of warning on the hazards to facilitate timely decision making and movement of required materials. DMMU wishes to assure the nation that all possible measures are being put in place to minimise the impact of the hazards. We however, urge Provincial Disaster Management Committees, District Disaster Management Committees and the general public in the areas likely to be affected by the identified hazards ensure that they take necessary precautions to reduce the impact of the hazards. Remember, disaster management is the responsibility of everyone!